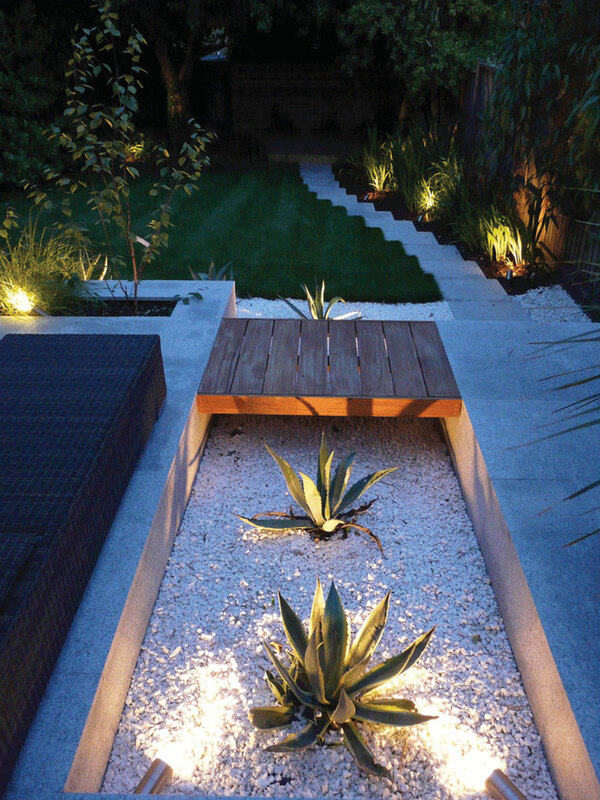 Complete your landscaping project with stunning garden lighting designs. Create drama with the up lighting, back lighting and down lighting of plants, walls, decks and fences. 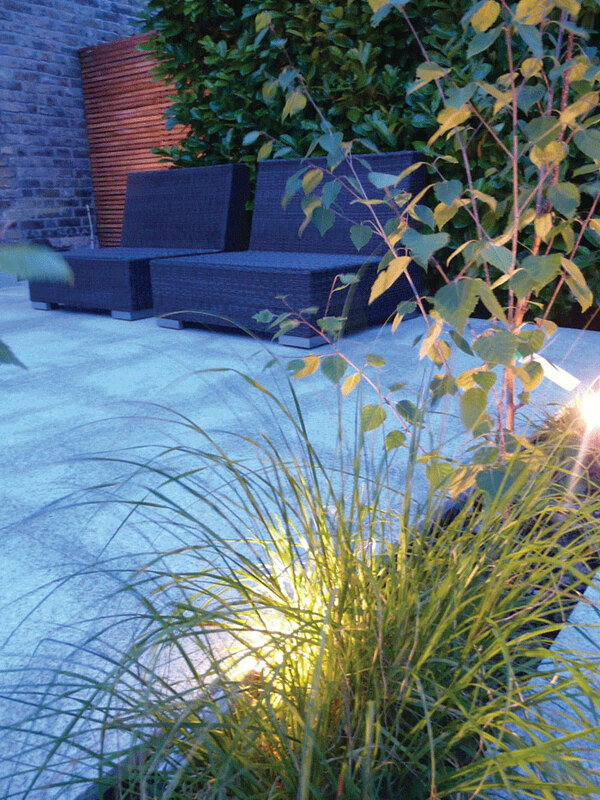 Complete your garden space or new landscaping project with garden lighting designs. 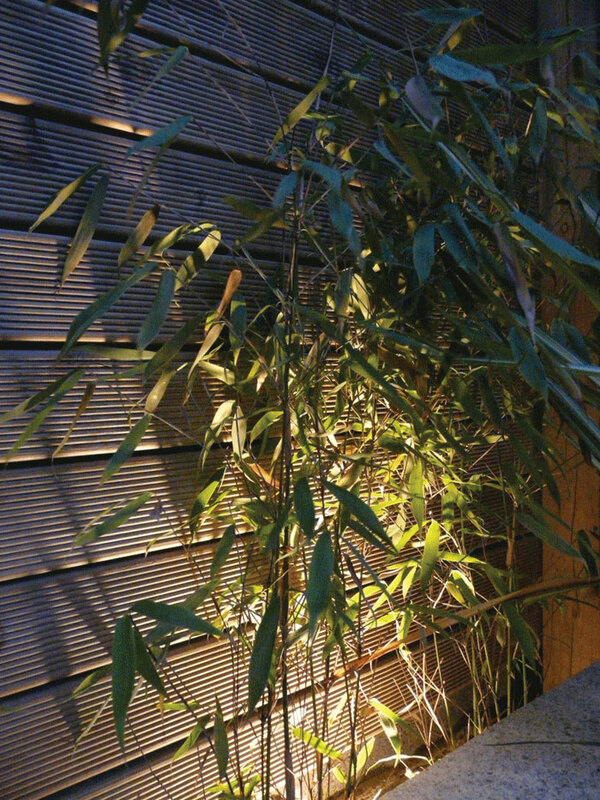 We can create drama with the up lighting, back lighting and down lighting of plants, walls, decks and fences, or just provide illuminated areas where you can safely move around after dark. 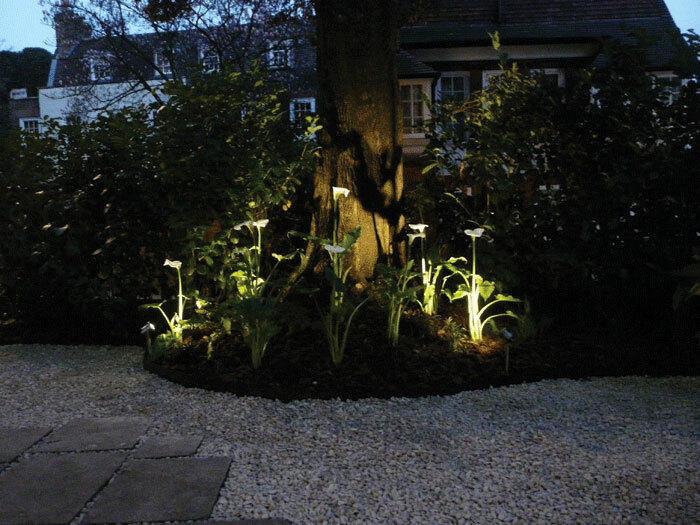 When deciding exactly which type of lights you wish to install in your garden, it is important to be aware that garden lighting designs fall into two basic categories, decorative and functional. 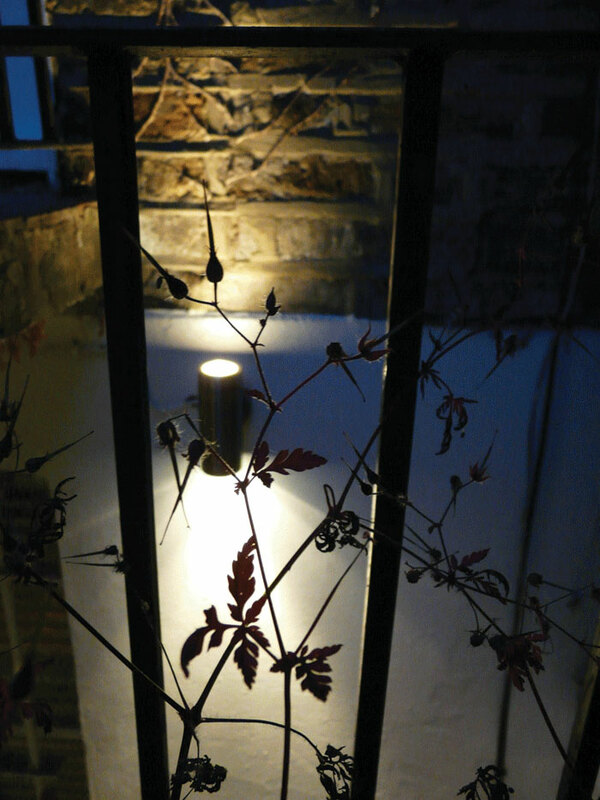 Decorative lighting as suggested is used for aesthetic purposes, to light architectural features, specimen plants and to create a general ambiance for your garden. Functional lighting on the other hand is used for safety and security purposes, to illuminate dinning areas or potential hazards such as steps and low walls and motion sensor triggered lighting to light up driveways or to deter potential intruders. Of course just because something is functional, does not mean that it can’t be beautiful or creative. 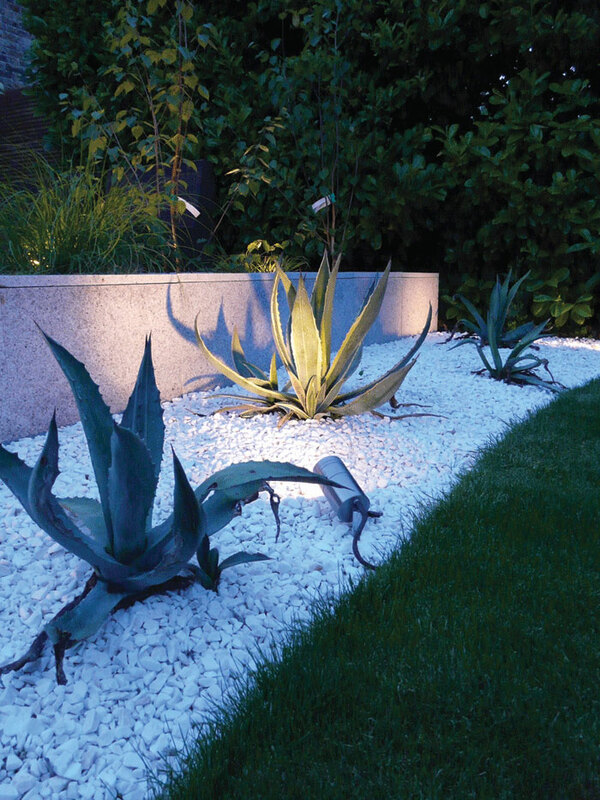 With a little thought it is possible to use decorative lighting to also fulfil the functional requirements, for example we will quite often up light feature plants or walls and fences and use the resulting reflected light to illuminate a pathway that traverses the area. This kind of attention allows you to minimise the number of lamps needed in a given area, and also reduce the different types of lamps required. Furthermore by using reflected light as much as possible you reduce the chances of having lights shining directly into your line of sight. Another consideration is the power of the lighting system you chose. There are three basic categories; 240V mains supplied, mains supplied low voltage systems with transformers and solar units. Whilst low voltage systems and solar lights have the obvious advantage of energy savings or free energy, they tend to have more inherent disadvantages. Solar lights only really show you where the light itself is, hardly illuminating any secondary area at all, although they can be useful for indicating pathways. With low voltage lighting, the main drawbacks are the transformer units and the generally thin cable which supplies the individual lamps. Because the cable is not armour protected, it has to run above ground. This, invariably results in accidental breakage with garden tools or else they get chewed through by foxes, which is much more common than you might expect. The second disadvantage is that as a result of having to keep the transformers weatherproofed, both they and the cabling are always visible. All of these disadvantages are completely negated with a good 240V mains supplied system, yet you have the advantages of being able to add more lights into the system. 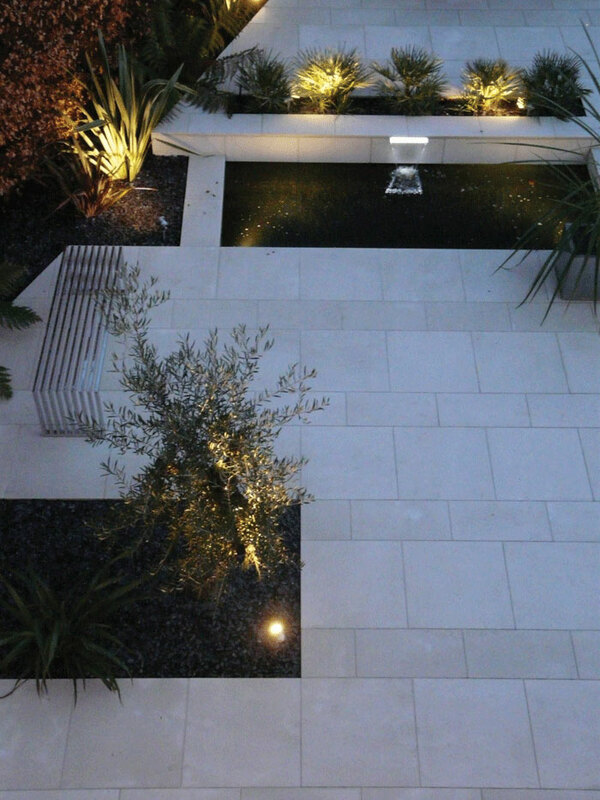 If you wish, you can have separate switches for different areas of the garden and even install dimmer switches, which are particularly elegant, plus 99% of the cables will be completely hidden. A professionally installed RCD fuse protected 240V system is certainly a much safer and professional option. You can minimise your power consumption by reducing the lamp power from a typical 50w halogen unit to a mere 4 watts if you use L.E.D. lamps instead. I would always recommend testing the L.E.D. units in the shop first. 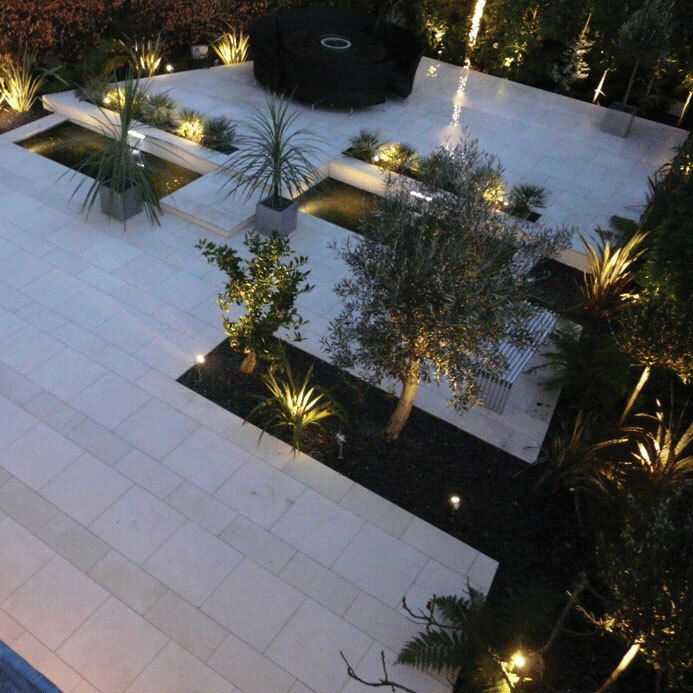 A lot of them do tend to have a cold white light, which just makes you want to rush inside and grab a jumper, rather than sit out in the garden and enjoy the lovely warm glow from your plants and design features.